If you haven’t heard about the new rockstar on the food horizon, then maybe you were spending your time on a remote island lately. We are not judging, just updating you on the latest craze that inspired legendary queues in New York and London. 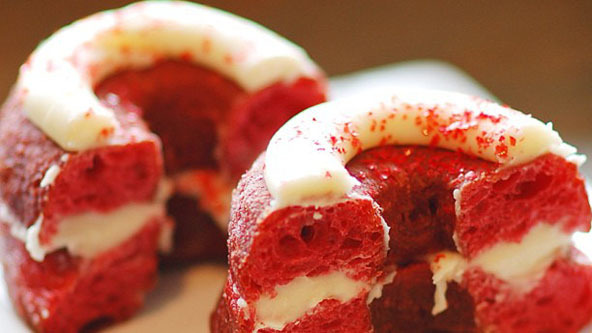 The unique pastry created by Chef Dominique Ansel is the love child of the doughnut and the croissant. It took him more than two months and ten recipes until he found the perfect match. 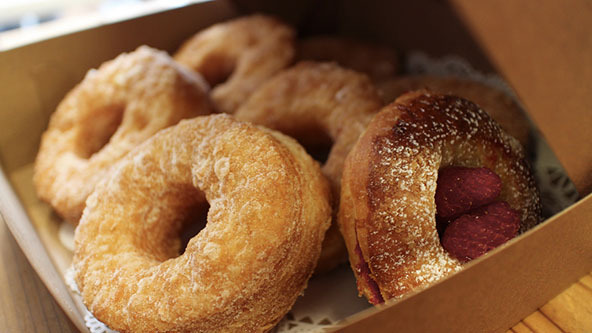 The cronuts are produced daily, up to 300 pieces and they feature a unique flavor that is changed every month. Some of the past temptations were offered with Rose Vanilla, Lemon Maple, Blackberry Lime and Fig Mascarpone. If you pass by Ansels’ bakery early in the morning you will be amazed by the lines that usually are spreading down the street and around the corner. 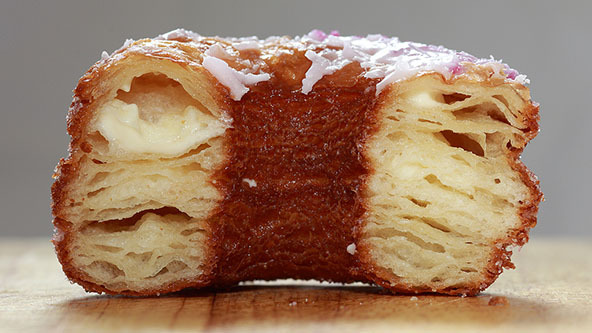 Since the production is so limited, the cronut pastry has spawned a black market with the sky breaking prices of $40 to $100 each. In comparison, the original pastry is sold for $5 per piece. If you haven’t planned any trip to New York or London soon, give it a try with this simple and easy Cronut recipe from SortedFood.